Objectives Researchers sought to determine the difference in health behaviors between women who receive prenatal care via the Centering Pregnancy approach and those involved in traditional prenatal care. Methods Using a cross-sectional design, adult pregnant women (n = 125) were surveyed from at least 28 weeks gestation to delivery. The sample was comprised of primarily white low income women. Results Using multiple linear regression it was determined that women in Centering Pregnancy had significantly lower index health behavior scores compared with the traditional care group showing that those in Centering Pregnancy reported engaging in fewer health promoting behaviors. Furthermore, no differences were observed for smoking or weight gain behaviors between groups. Additionally, those in Centering Pregnancy reported a lower perceived value of prenatal care. Conclusions The results of this study suggest that Centering Pregnancy is not adequately aiding its patients in adopting healthy behaviors during pregnancy. Robertson, B., Aycock, D. M., & Darnell, L. (2008). Comparison of centering pregnancy to traditional care in hispanic mothers. 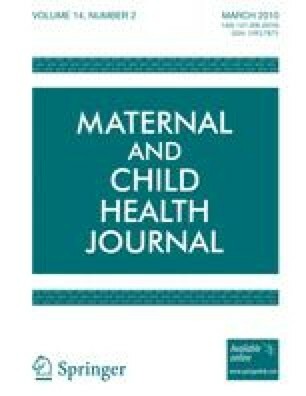 Maternal and Child Health Journal 12. doi: 10.1007/s10995-008-0353-1.